About this time last year, Breitbart News eulogized the World Economic Forum. The annual gathering of global elites in Davos, Switzerland would be a “somber occasion,” the far-right outlet wrote, because “their influence on the global stage is waning rapidly” in the wake of Brexit and Donald Trump’s election victory. Viewed through the lens of the immigration huddle, Trump’s Davos dash looks less likely to prove a Nixon-to-China moment. Surrounded by a cacophony of opinions Tuesday, the president seemed to agree with whomever spoke last, a performance that left immigration hardliners dismayed and others confused: “Trump appeared to contradict himself,” The Washington Post’s Ed O'Keefe and David Nakamura write, “at turns professing support for a ‘clean’ bill to protect undocumented immigrants brought illegally to this country as children, reiterating his demands for a border wall opposed by Democrats and professing to support the kind of comprehensive overhaul of immigration policy that has been anathema to conservatives.” And this was on an issue core to Trump’s political identity. The president’s latest thinking on another of those issues — trade — will be top of mind for his fellow conferees in Davos. Trump is primed to make calls on several matters critical to international commerce, including whether to withdraw from the North American Free Trade Agreement, whether to slap tariffs on imports of aluminum and steel, and how to approach a brewing conflict over trade with China. White House spokeswoman Sarah Huckabee Sanders said Tuesday the president will be bringing his "America First" message to Davos (and the New York Times's Maggie Haberman and Michael Shear note Trump led with his go-it-alone approach on international trips last year, highlighting disagreements over climate change in Europe and trade in Asia). Another telling detail will be which administration officials also make the trip. Treasury Secretary Steven Mnuchin and National Economic Council Director Gary Cohn — avowed globalists and Breitbart boogeymen both — have been seeking to contain the president's protectionist instincts. And both are odds-on to summit in Davos. 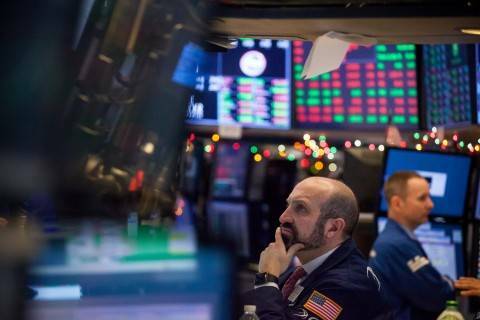 Wall Street's major indexes extended the New Year rally to close at record levels on Tuesday on investor optimism ahead of quarterly earnings reports and hopes for easing tensions with North Korea. For the first time in a decade, thanks to an uptick in economic growth in 2017, the global economy appears to be operating at its potential. The Federal Reserve is welcoming a debate among economists about proposed changes that might improve its response to future economic downturns. — Liberals launch attack. The Post's Dave Weigel: "The fight over the Tax Cuts and Jobs Act is back after a short holiday timeout. The American Action Network, a 501 organization aligned with House Speaker Paul D. Ryan (R-Wis.), has started a $10 million promotional campaign to sell the tax cuts to voters in congressional swing districts. Now the progressive Not One Penny coalition is starting a counterattack, starting with a six-figure buy in Iowa’s 1st District, represented since 2015 by Rep. Rod Blum (R-Iowa). 'Big corporations and multimillionaires like Rod Blum got a huge tax break,' says a narrator in the new spot. 'But for people who have to work for a living, Rod Blum’s vote raises taxes on the majority of Americans, rewards outsourcing jobs overseas, and adds $1.5 trillion to the national debt.' The ad, soon to be echoed in other swing districts, follows on the work Not One Penny did to oppose the tax cuts in the first place. Unlike the coalition that stopped the repeal of the Affordable Care Act, the anti-tax-cut campaigners fell short — but the bill that came out of Congress was much less popular than Republicans expected." — IRS on the spot. Politico's Brian Faler: "The IRS is facing its first big challenge implementing the new tax law: deciding how much in taxes to withhold from millions of Americans’ paychecks. The agency is under pressure to take as little as possible so people will see big increases in their take-home pay ahead of this year’s midterm elections. 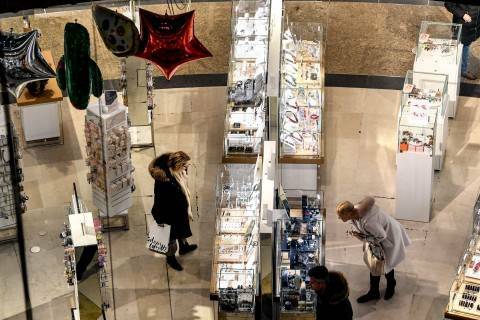 But that would come at a cost: smaller or even nonexistent refunds next year, though millions rely on them to plug holes in their family budgets. Democrats are already accusing the Trump administration of plotting 'phantom windfalls' ahead of the November contest that will come back to haunt taxpayers next tax season." — Utility bill savings. NYT's Ben Casselman, Brad Plumer, and Jim Tankersley: "The newly passed tax law could save Americans billions of dollars on their utility bills. In recent days, electric companies in Massachusetts, Illinois, Oregon and other states have announced plans to pass their tax cuts on to customers through lower rates. On Tuesday, Pepco, which provides power to nearly 300,000 customers in Washington, D.C., said it would cut rates beginning in the current quarter. Other utilities might be forced to follow suit. In much of the country, investor-owned utilities have a monopoly on providing electricity and gas to homes and businesses. State regulators allow them to charge rates high enough to recoup their costs — including the cost of paying taxes — and to provide a guaranteed return to their shareholders. Those regulators periodically scrutinize rates to ensure that they are reasonable. When taxes go down, so should customers’ utility bills." — Foreign liquor loophole. The Post's Jeff Stein: "The new Republican tax law counts on a small, little-known federal agency to ensure a tax provision aimed at helping small liquor producers does not become a loophole large foreign distillers can exploit. At issue is the law's tax cut for hard liquor producers, dropping a tax from $13.50 per proof gallon (a measure of the liquor's quantity and alcohol content) to $2.70 per proof gallon. That bargain $2.70 rate is limited to the first 100,000 proof gallons, while companies pay a higher rate on booze produced beyond that. The cap is aimed primarily at benefiting small distilleries, aiming to spark small-business expansion and hiring. But the lower tax rate is also available to importers buying from foreign producers, and some fear that has opened up a loophole that foreign firms could use to pay the lower rate on more liquor than the plan's drafters intended." — Farm confusion. WSJ's Jacob Bunge and Richard Rubin: "The new U.S. tax law has placed Rick Tronson, a North Dakota grain-company operator, in a precarious position by unexpectedly bestowing big benefits on his main competitors. A provision inserted into the tax code during Senate and House negotiations in December gave farmers more lucrative deductions when they sell agricultural products directly to the farm cooperatives he competes against rather than to businesses like his own. Mr. Tronson, whose four storage facilities handle 17 million bushels of grain a year, said the competition could spell the end of his 76-year-old family-owned business. 'We’ve made a big investment. And this law, if they don’t change it, the scenario is that we’ll go broke,' he said." — SALT workaround. Politico: "The new tax law’s limit on the state and local tax deduction may pose a fiscal threat to high-tax states and their affluent taxpayers. But it’s also a political gift to Democratic officials in those states seeking to raise their national profiles by challenging President Donald Trump and circumventing the law. For Democratic leaders in New York, California and New Jersey, finding state-level workarounds to the new tax code could deliver on a pocketbook issue for a key constituency: voters in high-cost suburbs from Orange County, California, to Westchester, New York, who are set to lose the most from the SALT cap. Take New York Gov. Andrew Cuomo: He’s called the SALT cap tantamount to “economic civil war” as he lays the groundwork for a potential Democratic primary bid in 2020. Like his counterparts in California and New Jersey, he’s considering mechanisms for taxpayers to fund state and local government with charitable contributions that are then credited against their tax liability; he’s also looking at a proposal to shift the tax burden from income taxes to payroll taxes." — Infrastructure plan could slip. Politico's Brianna Gurciullo and Lauren Gardner: "The White House may be pushing back the release of its long-awaited infrastructure package yet again, just a month after saying it would come out by the end of January. A White House official said Tuesday that there have been 'no decisions yet on timing' for the release. Sen. Ben Cardin (D-Md.) separately told POLITICO — after a meeting with Transportation Secretary Elaine Chao and other officials — that administration officials are still deciding whether to publish legislative principles for the plan before or after the president’s State of the Union address Jan. 30... It’s unclear whether this represents a major snag for the infrastructure plan, which Trump’s aides have talked up as a big priority for 2018." Bipartisan WH meet. Reuters's Ginger Gibson: "A bipartisan group of U.S. senators met with administration officials on Tuesday to discuss drafting legislation to spend $1 trillion on improving the country’s infrastructure... The Tuesday meeting was attended by a bipartisan group of members of the U.S. Senate Environment and Public Works Committee, Transportation Secretary Elaine Chao, [Cohn], and special assistant to the president for infrastructure policy, D.J. Gribbin. Republican Senator John Barrasso of Wyoming, who chairs the Senate Environment and Public Works Committee that would oversee an infrastructure bill, said the meeting was an opportunity for the administration to explain its priorities." Trump’s two-minute tribute to earmarks gave a boost to a group of Republicans, mainly appropriators who are charged with writing spending bills, who have been lobbying Ryan and other GOP leaders for their restoration — albeit in limited form — for more than a year... The House Rules Committee said Tuesday it would hold two hearings next week on whether to restore earmarks in what GOP aides characterized as a long-delayed fulfillment of Ryan’s promises." — Warren: Rethink laundering laws. Reuters: "Democratic Senator Elizabeth Warren said on Tuesday the United States needed to review outdated laws for combating money laundering which are creating an undue compliance burden for small and community banks. During a Congressional hearing on Tuesday, Warren said she supported more stringent company ownership disclosure requirements and changing the threshold for reporting suspicious transactions in order to make life easier for small lenders and law enforcement. 'Money laundering is a massive problem ... so everything we can do to crack down on that is good and that’s what we should be doing,' the Massachusetts lawmaker told the Senate Banking Committee. 'But it seems to me we need to rethink a lot of our money laundering laws some of which ... were written back in the 1970s and are badly out of date.'" — Warner: Eyes on crypto. American Banker's Ian McKendry: "The Senate Banking Committee is likely to take a closer look at bitcoin and other cryptocurrencies. 'We are about to be overwhelmed by bitcoin, other kinds of cryptocurrencies,' said Sen. Mark Warner, D-Va., during a banking panel hearing Tuesday. 'I would hope … that we would be able to get ahead of it rather than chasing it after the fact.' Speaking afterward, panel Chairman Mike Crapo agreed that a hearing on cryptocurrencies is in order." Regulators skeptical: Bloomberg's Jeremy Herron: "The race for the first bitcoin ETF has hit a regulatory speed bump. In the past 24 hours, four prospective issuers withdrew requests at the U.S. Securities and Exchange Commission for approval to list exchange-traded funds based on the largest cryptocurrency... The withdrawals are the latest setback for the financial industry’s push to bring bitcoin into the investing mainstream a month after the first futures contracts began trading. Proponents speculated the derivatives would tamp down wild swings in bitcoin spot prices and open up the market to other products such as ETFs. But the SEC has not deviated from its skeptical view of the assets." — Manufacturing Ex-Im. The Hill's Vicki Needham: "Manufacturers are keeping up pressure on Senate Republican leaders to get the Export-Import Bank running at full speed. In a letter on Tuesday, the National Association of Manufacturers (NAM) urged Senate Majority Leader Mitch McConnell (R-Ky.) and Majority Whip John Cornyn (R-Texas) to approve by the end of January four nominees to the Ex-Im board of directors. Confirming those nominees would enable the bank to make larger loans... Last month, the Senate Banking Committee approved four nominees to the Ex-Im board: Kimberly Reed, Spencer Bachus, Judith Pryor and Claudia Slacik. All four nominations have been held over by the Senate and can be considered on the floor." Just asking: Boeing, a principal beneficiary of the bank, has been on a tear. Its shares have more than doubled over the last year — a surge that continued Tuesday after the company reported delivering a record number of commercial airplanes last year. Will the company be foiled by its own success? That is, is it tougher to stoke urgency on Capitol Hill for restoring a quorum at the bank when the company's performance hardly shows the need for a boost? — Congressional moves. The Senate Banking Committee is getting two new members: newly-elected Sen. Doug Jones (D-Ala.) and Sen. Jerry Moran (R-Kan.). And Sen. Sheldon Whitehouse (D-R.I.) is joining the Senate Finance Committee, part of a broader reshuffling as Jones brought the Democratic numbers in the chamber up to 49... On the other side of the Capitol, Rep. Steve Womack (R-Ark.) secured the endorsement of the Republican Steering Committee to lead the House Budget Committee. — K Street moves. Chris Rosello is joining HSBC as its Head of US Public Affairs. He joins the bank from Wells Fargo, where he worked as Senior Vice President of Federal Government Relations. Previously, Rosello served as Treasury’s deputy assistant secretary for legislative affairs. 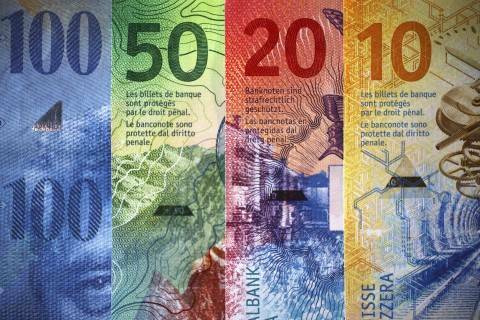 Switzerland’s central bank said it expects to make a record profit of $55.2 billion in 2017, citing higher global equity and bond prices as well as a weaker Swiss franc. Workers show unexpected reluctance to quit with the unemployment rate at a 17-year low. 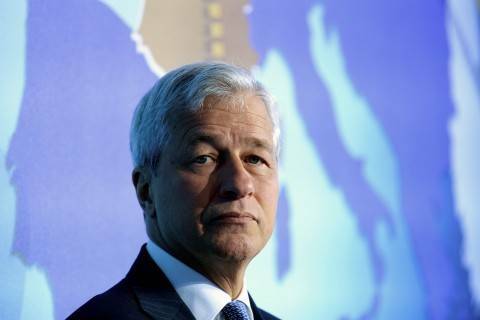 Those are the thoughts of JPMorgan Chase & Co. CEO Jamie Dimon, who offered a forecast for U.S. economic growth that outstrips even some of the more bullish economists. 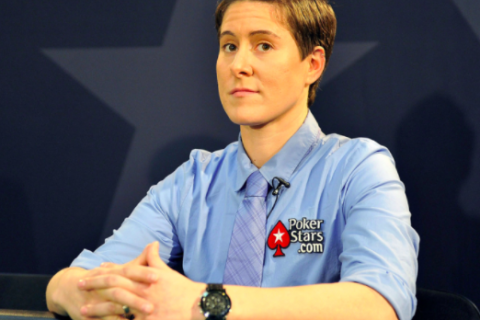 Vanessa Selbst, the most successful woman ever in tournament poker, is working at Bridgewater Associates to learn another big-money grind: hedge funds. In recent months, top advisers on foreign and domestic policy have announced their departures. Additional aides are expected to make their exit in the coming weeks. Chief of staff John Kelly has embarked upon an effort to fill the ranks by the end of January. But the absence of willing and qualified replacements, paired with a lengthy hiring process, make it unlikely he'll reach that goal... Two of the most senior officials who are on the potential departure list are Don McGahn, the White House counsel, and HR McMaster, the national security adviser. The President, like with many of his advisers, has aired frustrations openly with both men. 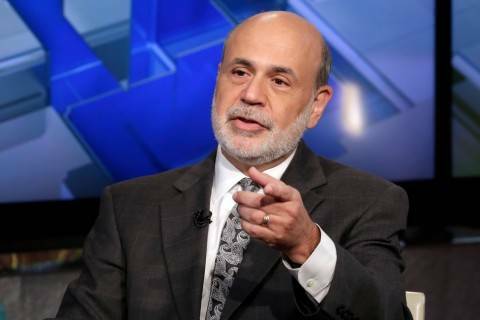 But it's far from certain whether either official will leave." In his testimony, Simpson said Steele contacted the FBI with concerns about Russian meddling in early July 2016. When the bureau reinterviewed Steele in early October, agents made it clear, according to Simpson’s testimony released Tuesday, that they believed some of what Steele had told them. Simpson also said Steele was told that the FBI had someone inside Trump’s network providing agents with information — a claim he also made in an op-ed for the New York Times last week." — New U.S. Attorney has Deutsche Bank ties. Bloomberg's Greg Farrell: "The newest U.S. prosecutors in Manhattan don’t need formal introductions to Deutsche Bank AG. Geoffrey Berman, who was appointed by the Trump administration as Manhattan’s interim U.S. attorney last week, has longstanding business ties to the German lender, though of a considerably lower profile than his new deputy. A decade ago, Berman was brought in to do legal work for Deutsche Bank when Robert Khuzami was its general counsel in the U.S., according to three people familiar with the matter. Now that Berman has been tapped for the Southern District of New York, Khuzami has become his deputy. It’s possible that the men would seek to recuse themselves from actions involving Deutsche Bank, which is under investigation by the Manhattan office and the Justice Department in Washington for enabling the movement of money out of Russia through mirror trades." The Greater Washington Association for Financial Professionals holds its monthly webinar. The U.S. Chamber of Commerce holds the 2018 State of American Business. The Peterson Institute for International Economics and the China Finance 40 Forum host the Third Annual China Economic Forum on “The New Era of Chinese Economy and China’s Financial Opening-up” on Thursday. The Brookings Institution holds an event on “The Wall: the real costs of a barrier between the U.S. and Mexico” on Thursday. The Brookings Institute holds a discussion on "The Lost Einsteins," on the importance of exposure to innovation, especially for women, minorities and children from low-income families on Thursday. The Securities and Exchange Commission Fixed Income Market Structure Advisory Committee holds a public meeting on Thursday. 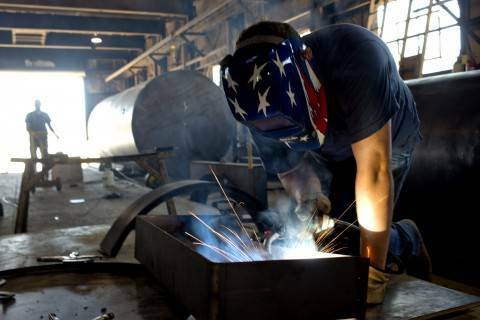 The Economic Policy Institute holds a discussion on "Understanding the decline in manufacturing jobs” on Friday. The American Enterprise Institute holds an event on “New thinking about poverty and economic mobility” on Jan. 18.